Only one hour ago, Kieran Hebden (a.k.a. 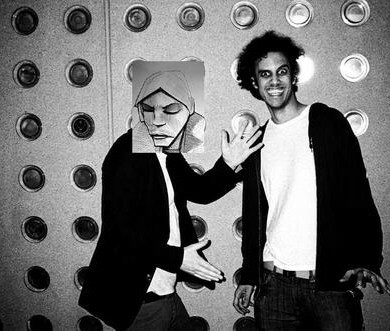 Four Tet) uploaded a new collaboration between himself and the elusory Burial to his Soundcloud. The track is called “Nova” and is supposedly going to be the 13th release on Hebden’s Text Records imprint. “Nova” follows in the same vein as last year’s Burial, Four Tet & Thom Yorke collaborations with its characteristic Burial 2-step percussion and ethereal Four Tet atmospherics. Sorry Radiohead fans, no Thom Yorke falsetto this time around; only some hazy female vocal samples. As much as I enjoy me some Thommy, his exclusion here allows the electronics to move into the foreground, creating much more relaxed, deep and dubby vibes. Ahhhhh….so satisfying. The Weeknd Releases Mixtape House of Balloons – The Next Burial?